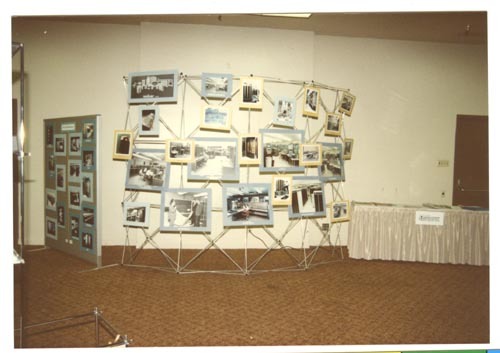 Color image of a Lawrence Livermore National Laboratory main exhibit area at the 1984 National Computer Conference. To the left is a partition with pictures, to the rear is a standalone exhibit with pictures of computer systems. To the right is a registration table.